Nintendo has a reputation for first-party excellence, but The Legend of Zelda seems to be in a league all its own. Releasing one successful flagship title after the next, consumers have now come to expect nothing short of brilliance. It’s a shame then, that Zelda’s gameplay has become very stale. Familiarity can be comforting, but it also blocks creativity. 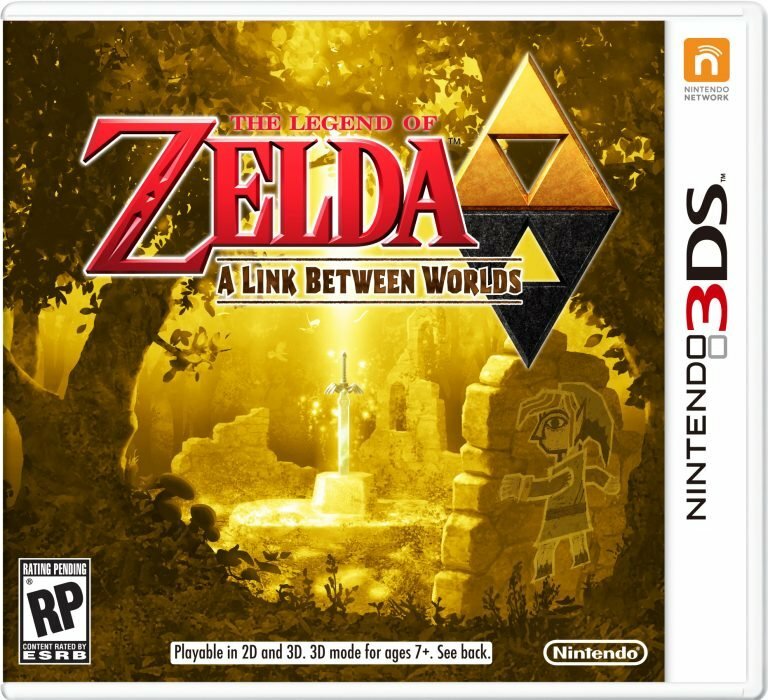 Along comes The Legend of Zelda: A Link Between Worlds. Set to journey into the catacombs of earlier entries and reinvent the over-done formula, ALBW brings in non-linearity. But after playing through the title, one thing becomes clear: this is still the same game. And by that I mean, it’s yet another Zelda game, with one unique gimmick and a whole lot of retread ground. Nintendo should be applauded for pushing the series in the right direction, but it’s a baby step rather than a leap forward. 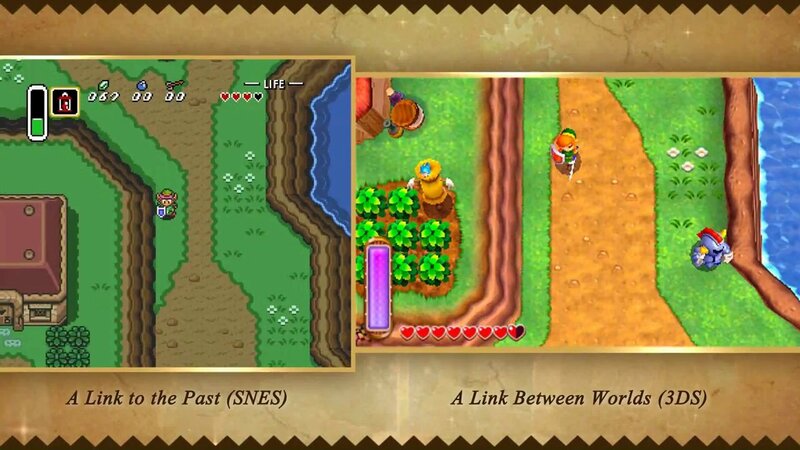 No surprises here, A Link Between Worlds is a huge homage to A Link To The Past. The Hyrule in this new entry is extremely reminiscent of the older title, and for the first few hours, plays more like a re-release than as its own entity. And trust me, the nostalgia wears away quick. By the time you hit the second world, Lorule, the promise of a new adventure hasn’t come into fruition. Thankfully, things get a bit better at this point. Lorule is a darker, more sadistic version of Hyrule, and Link needs to piece it back together by conquering seven dungeons. The new mechanic, which allows Link to merge with the wall, is welcomed. Puzzles have new dimensions, giving dungeons more depth than past titles. It also allows Link to travel into Lorule, in order to save both areas. As always, there is also a huge variety of dungeons, ranging from an ice cave to a palace that is completely without light. And it’s easy to travel between these places with the new fast travel feature. Also of note is the music, which is fantastic. Hyrule is laden with classic Zelda tracks, while Lorule makes work of some great string and guitar arrangements. Unfortunately, outside these features, the rest of the game isn’t so spectacular. The ability to rent items instead of buy them is pointless, as with fast travel all it causes is a minor annoyance. The difficulty seems to have been altered as well, appealing more to kids than veteran fanatics. But worst of all is the non-linearity. You see, the reason Zelda is played in a linear fashion is the ramping difficulty. As you pass through each new dungeon, the stakes are higher, the bosses are harder, and you are better at the game. With A Link Between Worlds, the creators seem to have made each dungeon easier, in order for them to be played in any order. I personally died twice throughout the whole game, and I am not a skilled player. It just is the same romp, despite the attempts at new things. To put it bluntly, many of the dungeons only took me around 15 minutes to complete. With a game that is supposed to be a throwback for older players, it seems to ignore the challenge that made it so rewarding. A Link Between Worlds isn’t a bad game, it just doesn’t set itself apart. I am hopeful though. Zelda’s gameplay and format needed to be played around with and modified. The franchise is set to fall into the same problem as God of War and Guitar Hero, too much of a good thing. This isn’t the title fans were looking for. It lacks identity and though it has new ideas for the series, none of them are implemented well. In the past, Zelda has successfully brought in new ideas, but these are always makeshift. The most notable of which are the animals in Oracle of Seasons and Oracle of Ages! Bring back good ol’ Moosh. As a huge fan of top-down Zelda’s, I will be the first to admit I am getting sick of the series. It needed a renaissance and this is a move towards that. But that’s all it is. Perhaps the next game will contain the necessary reboot, but for now, it still contains the same ideas that the first game had way back in the 80’s. Here’s hoping folks. 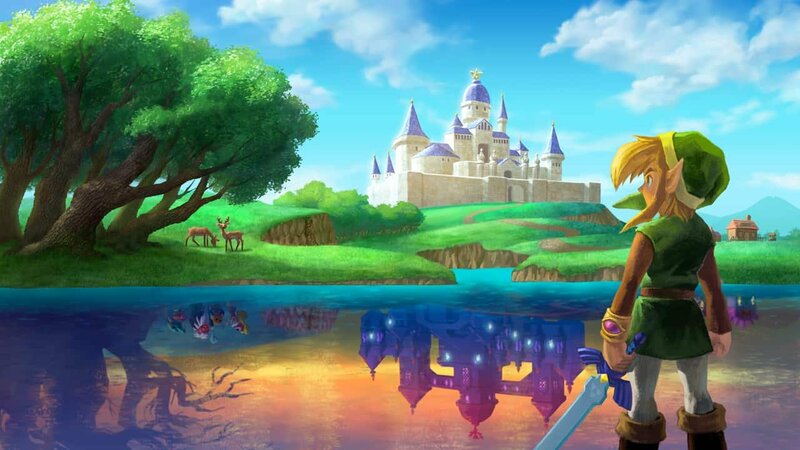 Along comes The Legend of Zelda: A Link Between Worlds. Set to journey into the catacombs of earlier entries and reinvent the over-done formula, ALBW brings in non-linearity.